This one’s great. Makes perfect sense, it was a new tip for me. I was using ice trays the wrong way, now I know. Spread the word, we need more ice on 4th of July weekend. It’s a small but very real frustration: you want a chilled drink, but you open the freezer only to see nothing but empty ice trays. Fortunately, there’s a simple way to make ice cubes quickly—use hot water. Yup, you read that correctly. Hot water freezes more rapidly than cold. In fact, not only does hot water chill quicker, many people think it produces a better quality ice cube. And while ice is an afterthought for most folks, people who are serious about their beverages, alcoholic and otherwise, know that ice matters. After all, as it melts, it flavors what you’re drinking, whether said beverage is vodka or water. A high-quality “boiled” ice cube vs. a regular “cold water” ice cube. Amazing, right? The phenomenon of hot water turning into ice faster than cold water is known as the Mpemba effect, named after a Tanzanian student who observed his hot ice cream mix freezing more rapidly than the cold version. 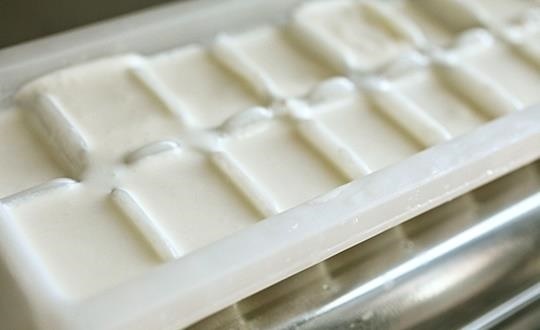 Separating homemade ice cream into ice cube trays also speeds up freezing. A recent study by Xi Zhang, Zengsheng Ma, and Chang Q Sun at Nanyang Technological University, Singapore, helps shine some light on a possible reason why this phenomenon occurs. A water molecule is made up of two hydrogen atoms and one oxygen atom which are bound together by the sharing of electrons, known as a covalent bond. Water molecules are then connected to each other by intermolecular forces known as hydrogen bonds, which happens when a hydrogen atom from one water molecule is near an oxygen atom from another. H2O: Just one big happy family. As you can see from the above illustration, the three atoms together form an angle. A hydrogen bond is the result of this structure and is responsible for giving water its unique life-giving properties and its ability to expand when frozen. According to the Nanyang study, these bonds are behind the Mpemba effect, when hydrogen bonds do their job and bring water molecules into close contact. However, the molecules have a natural repulsion to one another. This action by the hydrogen bonds makes the covalent bonds move apart and store energy. As liquid is heated, the hydrogen bonds stretch and water molecules are forced to be farther apart. Correspondingly, the covalent bonds within the water atoms shrink and lose energy. This process is akin to cooling off. On a molecular level, this water is already cooled off. Seriously. Essentially, hot water already closely resembles cool water on a molecular level. The energy in hot water is wound up so tightly that when it is released, it cools and freezes faster than cold water. How Much Faster Does Hot Water Freeze? It’s hard to say. Water reaches its freezing point at 0° C (32° F), but the time it takes reach this point may vary. It’s difficult to estimate how much faster ice cubes will form with hot water because many variables must be considered—the initial temperature of the water, the volume of water, and the temperature of the freezer. Where’s Iceman when you need him? Regardless, heating filtered water to a boil will definitely speed up the freezing process. Some even say that hot water makes for cleaner and clearer ice cubes, while others swear by using ice coolers or various methods other than using hot water (including the slow freeze and DIY ice cube trays inside an insulated cooler). One thing is clear: if you want your ice cubes sooner rather than later, throw it in the freezer as soon as you can pour it into the containers without melting the plastic. If you live somewhere exceptionally chilly, you can just throw the boiling water off your balcony like these guys. While you may not be able to instantaneously freeze water, you can perform an at-home experiment with two separate ice trays, and try this method out with cool and hot water. The worst thing that can happen is that you have two trays of ice cubes ready to be utilized. 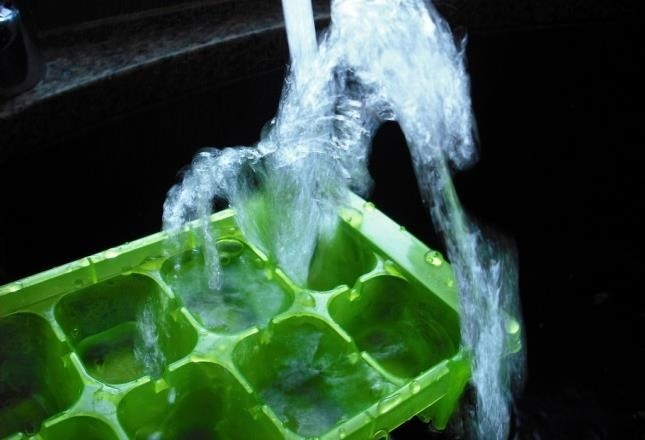 Just a couple words of caution when using hot water for ice cubes—use BPA-free plastic trays, stainless steel, or silicone ones. Studies have shown that hot water can cause BPA leaching in certain plastics not rated as BPA-free. 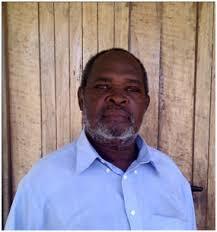 Thanks Mpemba. The Royal Society had a competition to explain the effect, which 22,000 scientists entered. It was won by Nikola Bregovic of Zagreb, the capital of Croatia. The history of the Mpemba, in fact, goes out the back of Bacon. That’s right Burners. Happy fourth. The phenomenon by which, under certain conditions, hot water freezes faster than cold water has been observed by some of the world’s finest minds, and has been used in everyday life for centuries. In the 4th Century BC, Aristotle observed that “The fact that the water has previously been warmed contributes to it’s freezing quickly: for so it cools sooner. Hence many people, when they want to cool water quickly, begin by putting it in the sun”. Roger Bacon in the 13th Century used the effect to advocate the scientific method in his Opus Majus, while in his 1620 Novum Organum, Francis Bacon wrote that “slightly tepid water freezes more easily than that which is utterly cold”. Rene Descartes also tried to solve the problem in 1637 and through the years, many scientists have attempted to explain it with little success. In 1963, the question was catapulted back into the public eye when a young Tanzanian boy called Erasto Mpemba noticed that if he put hot ice-cream mix into the freezer, it froze more quickly than the cooled ice-cream mix of his fellow classmates. Mpemba’s tenacity in the face of his teacher’s initial dismissal of his observations and the ridicule of his classmates prompted him to repeat the experiment with hot and cold water, and to stand up and ask visiting physics lecturer Denis Osborne about the phenomenon. If two systems are cooled, the water that starts hotter may freeze first, but we did not look for ice and measured the time as that until a thermocouple in the water read 0°C. A graph of ‘time to start freezing’ against initial temperature showed that the water starting at about 26°C took longest to freeze (water starting at 60°C took twice as long as water starting at 90°C). Thermocouples near top and bottom showed a temperature gradient in the water. A hot starter kept a hot top while its lower levels were cooler than for the cool starter. An oil film on the water surface delayed freezing for several hours, suggesting that without this film, most of the heat escaped from the top surface. Changes in volume due to evaporation were small; the latent heat of vaporization for all the water to cool to 0°C and start freezing accounted for less than 30% of the cooling. 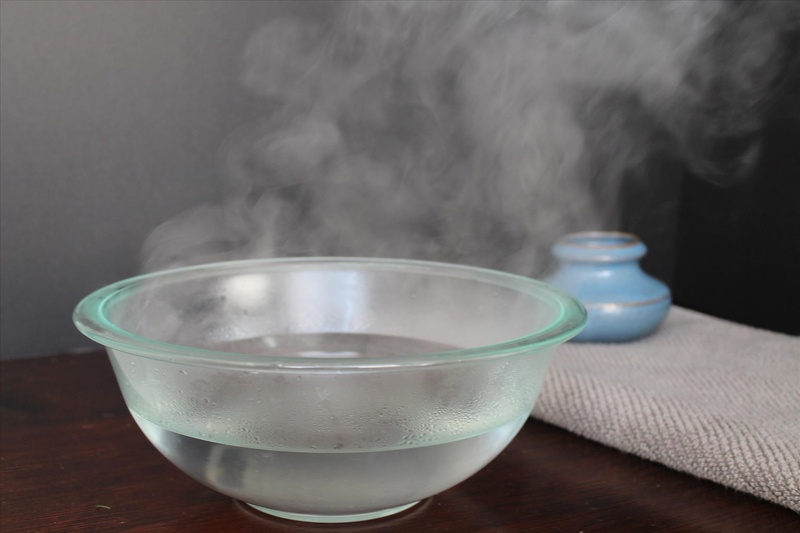 We used recently boiled water for all the trials, making dissolved air an unlikely factor. We failed to check and report the ambient temperature in the freezer or its consistency during cooling. Lower ambient air temperatures might increase heat loss rates from the top surface, cause more rapid convection and increase the difference in freezing times. 2. I always thought it was thermal inertia that made the warm water freeze, and would like to see proof otherwise. http://www.ncbi.nlm.nih.gov/pmc/articles/PMC3222987/ “In some cases, BPA-free products released chemicals having more EA than did BPA-containing products.” Although, heat does tend to make plastic release its plasticizers, which are usually toxic.